Undulating—the word of the week | Where to next? Riders ready to go. Our guide, Peter, is in red. Poor John is there too, just to Peter’s left. It’s always interesting to note when a new word creeps into your vocabulary. This week’s word was undulating, but the vocabulary wasn’t mine. Let me explain. When we decided to visit Libby and Daniel—the daughter and son-in-law who got married and moved to France earlier this year while we were in India—we figured we’d better add some side trips. 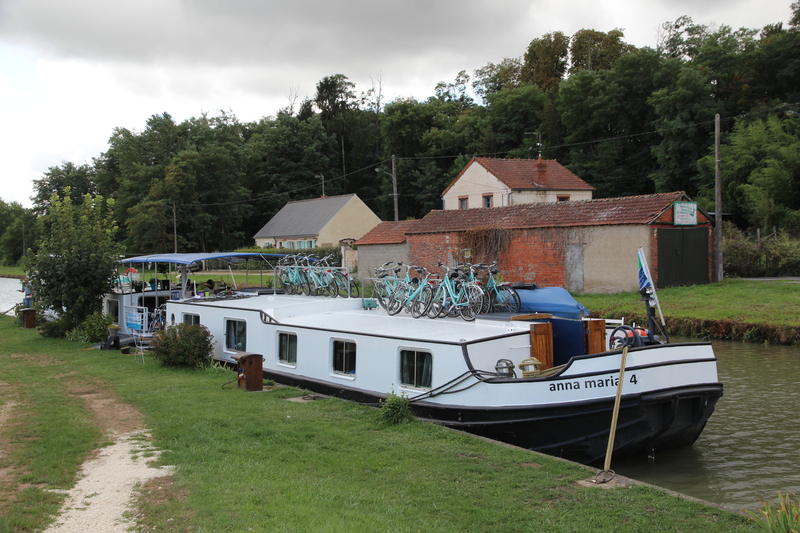 Our top choice was a bicycle–barge trip along the canals in the picturesque Loire Valley, south of Paris. While I assumed that a valley would be fairly flat, Poor John had me in training for a couple of months leading up to the trip. Several times a week, I’d pedal about 20 kilometres around the ups and downs (undulations) of the central and eastern sections of Lake Burley-Griffin. 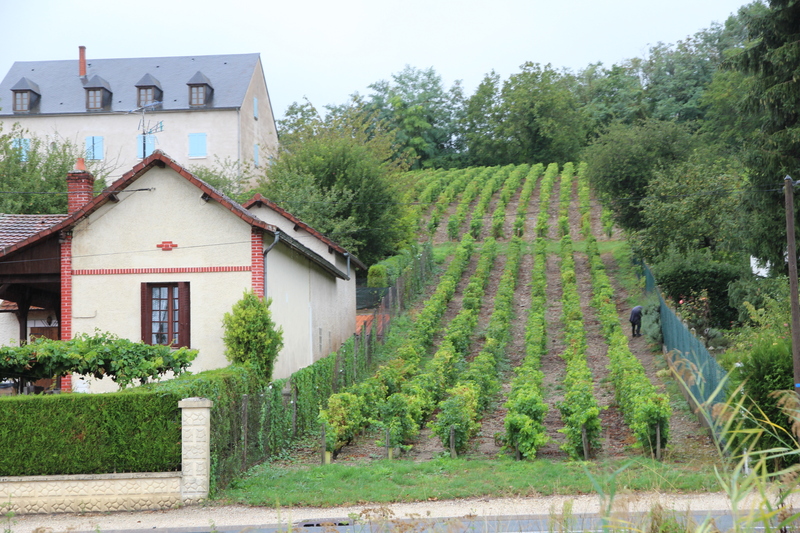 So by the time we joined 13 others—two more Australians, 10 Americans and a German—I figured I wouldn’t completely embarrass myself as we tackled the undulating terrain of the Loire Valley. Now I’m going to be a bit smug here. Even though I didn’t make it to the top of Tiger’s Nest Monastery in Bhutan (only because I didn’t have enough time to do so without holding up the rest of the group), I managed six days and 250 kilometres of cycling in the Loire’s undulating hills. So what’s all this business about undulating? I grew up in Nebraska where hills ‘roll’. Then I moved to Australia where they undulate. I know and use both words, but I’d forgotten that undulating might be an odd word for our non-Aussie cyclists. It was totally odd—in fact, it was unfamiliar to all of them. The conversations about ‘undulating versus rolling’ took me back to my first years in Australia when words I knew were replaced by similar words (or phrases) that I didn’t know. Complain became whinge, common became ubiquitous, aggravated became exacerbated (I knew both, but always used the former), and surprised became gobsmacked. My vocabulary is so much richer for being in Australia, and now we’ve managed to pass a few new words on to more Americans, including undulating. Hope they aren’t too gobsmacked. Oh, and the word undulating came up on the only day I didn’t ride a bike. It was raining on Tuesday and I had no wet weather gear (the forecast had been for a week of clear weather). Half of the group stayed on the barge to watch us go through the locks. We read, chatted and lolled around on the barge. 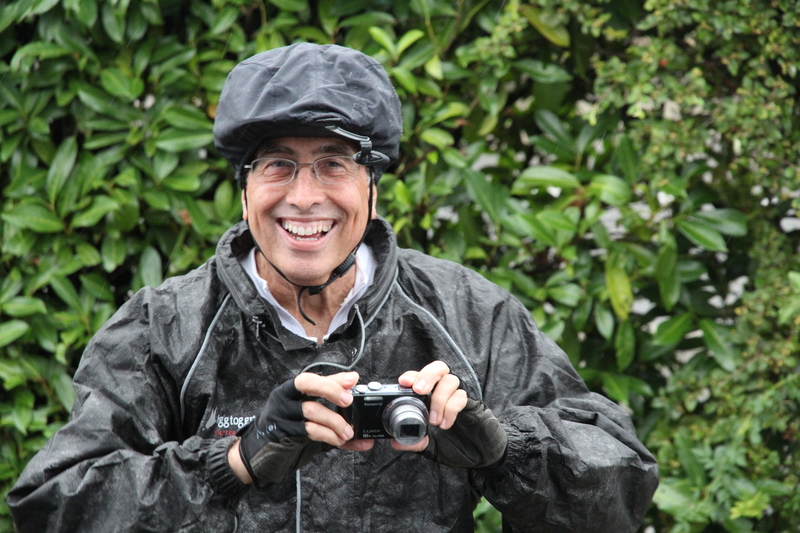 Chuck—all decked out in Dave’s wet weather gear. For the cyclists, that day dished out plenty of rain, a longish hill at the start and many undulating hills at the end, which is when the word arose. Many, including Poor John, had brought their waterproof clothing. Chuck hadn’t, but borrowed Dave’s, and did just fine. Can’t say I’m sorry I missed any of it, but very pleased with myself that I managed all the other days of undulation. 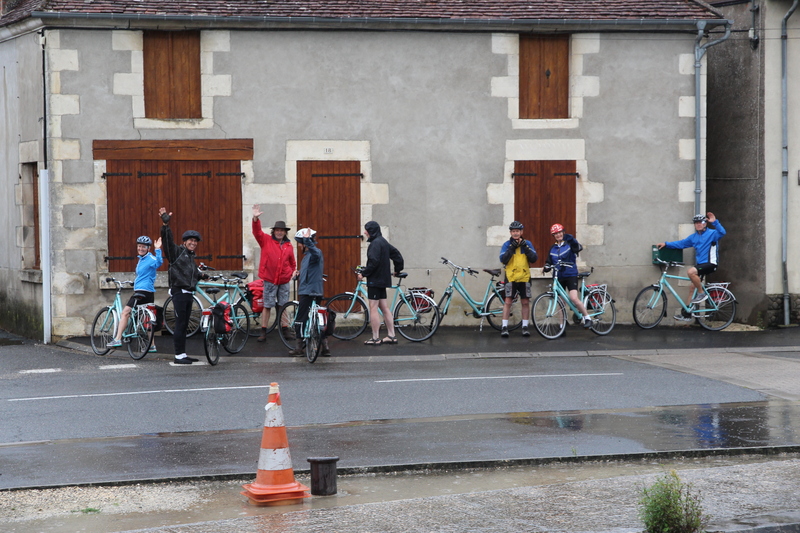 After dinner on the wet day, we had to explain that undulating doesn’t apply to body fat, just terrain or waves. Stay tuned for more about the bicycle rides and stops. And if you’re having a rainy day, check out the recipes on my cooking blog. I can especially recommended the chocolate chip cookies, which we’d call biscuits in Australia. For goodness sake, Of course they’re called biscuits. A cookie is either a person who cooks or a person whose brain is cooked. Where on earth do these people get these funny words. Anyway, a bonza little diatribe. And a bonza comment from you. P.S. You’re right about cookies. Looks like a fun trip, aside from the rain. Nebraska is pretty much the same, which is why truck drivers love to go across the state. Biscuits are really southern – a cheap way of a farmer worker feeding their family. I would love to hear those sound effects! No doubt you have some more gorgeous views of the Loure Valley to share as I know it’s quite stunning! Glad you did the barge/bicycle trip as it sounds delightful. It was great fun. Scenic, energetic and out-of-the-ordinary for us. And it meant I didn’t feel guilty eating three big meals a day. 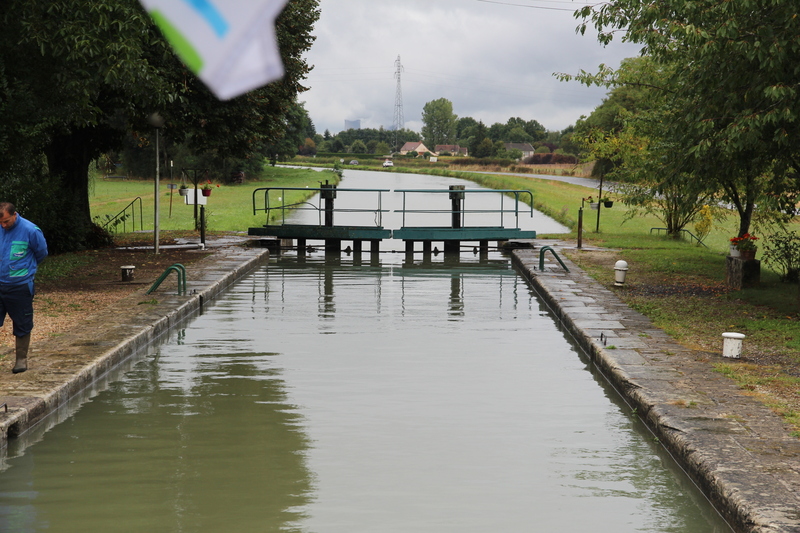 A French barge/cycling trip is on my bucket list so interesting to hear your experiences. When are you going to join me and some other ladies on our Tuesday morning bike rides Peggy? What a great suggestion. I’m back in Australia in October. You are in Melbourne, right? I don’t know if I can ride that far. 🙂 Will investigate Plan B. My hips undulate after eating your chocolate chip cookies.